"What's the #1 a bride will tell you she wants to feel on her wedding day? The answer is "the most beautiful version of her natural self". Marissa's steady hand, calming technique, and incredible talent made for the perfect trifecta experience. I regularly do not wear much make-up and my sisters constantly harp on me for the lack of eyeliner in my make-up bag. Marissa set-up a trial appointment to walk through the process and test face, eye, and lip products as well as get me comfortable with the process. On the day-of my wedding, she showed up early to get settled into the space and worked through an efficient process which left me feeling exactly as I hoped. I have never felt more beautiful than I did on that day. After a long day of photos, hugs, tears and a few cocktails I managed to still look fresh faced and smudge-free. I would recommend Marissa's artistry to anyone and thank her for making me, my mom and sisters look as beautiful as we felt on such a special day." "Working with Marissa was a great experience! I relied on her input and skill to create a very modern Gatsby look to compliment our wedding theme. I knew she did her homework so that I had eyes and lips that were very period-centric, yet contemporary at the same time. I really felt beautiful and the makeup lasted through tears, laughs, hugs, and most importantly, the entire 12 hour day! Considering this is one of the most special days of my life, I was very happy to have someone who I could rely on to be timely and steady during the ebbs and flow of the morning preparation. All of my bridesmaids also enjoyed working with her on the day of. Her calming and open personality added a great energy to our morning. I would highly recommend working with Marissa for any event in the future!" "We had the pleasure of having Marissa Hohner as our make up artist at our daughter’s wedding in May of 2017. She was a pleasure to work with and was very patient with our requests. Marissa made us feel very comfortable, and the outcome was amazing…her attention to detail and her use of current products allowed us to come away with an experience worthy of a west coast runway. Thank you Marissa for a wonderful morning." "Marissa was an absolute dream to work with for our May 2018 wedding. She was so professional and prompt in regards to scheduling, logistics, and answering my endless questions leading up to the wedding. What I loved even more was that she was so fun to work with! She is really passionate about what she does and gives 100% to every makeup application. The makeup trial was the perfect opportunity to meet Marissa and figure out the look I wanted for my wedding. She was very flexible with scheduling and described each product she used as she was applying it to keep me in the loop. It turns out I am much pickier than I anticipated, and Marissa was very patient and worked with me until I was happy with the result. The day of the wedding, Marissa and her assistant were the first to arrive and were set up and ready to go before I even walked in the door. She powered through 7 women without hesitation and all of my bridesmaids looked beautiful and truly adored their makeup. 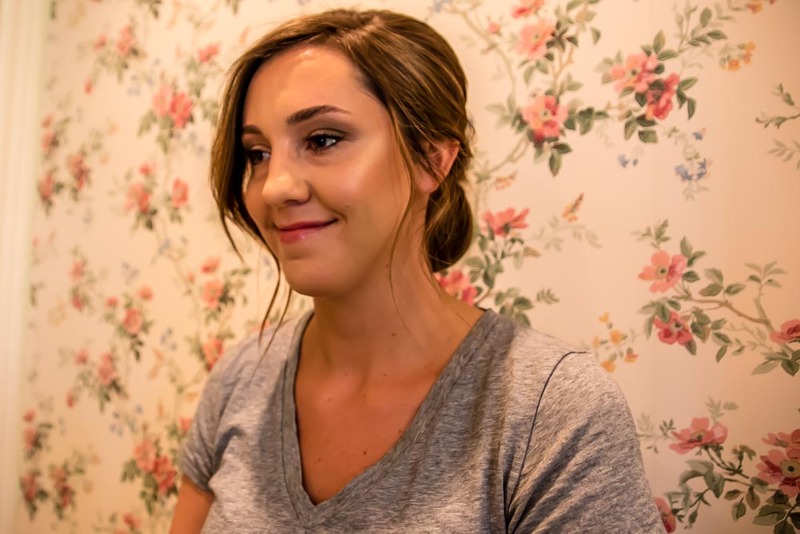 My turn for makeup came at the height of my pre-wedding anxiety and I was so grateful for Marissa's calm demeanor and dedication to making sure I felt my best." "Marissa was super easy to work and communicate with. The day of the wedding she kept everything very relaxed and made it easy when a few of the bridesmaids wanted to add on some items. Everyone looked very glamorous but still like themselves. It was a great experience." "Marissa was so fun and easy to work with. She listened to what I wanted and made me feel glamorous but myself on the night of my bachelorette party. I would definitely recommend her!"